Ever Wish You Could Talk to the North Pole? Here’s Your Chance! It’s that most wonderful time of the year where magical things start to take place! Beginning tonight in New York City, kids have the opportunity to communicate directly with the North Pole! Events, specially delivered by Hallmark, are taking place in five cities in November and December — New York, Kansas City, Orlando, Dallas and Los Angeles. These events will help kids talk directly to Northpole with a larger-than-life control center – Northpole Communication Station. From a giant Northpole city map, kids choose a location to contact, from the Claus home to Santa’s Workshop to Snow Row. 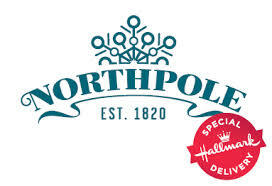 Using a Northpole Communicator, kids can connect with Northpole and have real conversations with the elves. You’ll even get a cool snapshot to remember the magical moment. So, if you are nearby one of these cities, go join in the fun and talk to the North Pole! · Times Square New York City, NY – Nov. 14, 6:00 to 10:00 p.m. and Nov. 15 8:00 a.m. to 7:00 p.m.
· Light Up UCF at CFE Arena, Orlando, FL – Nov. 28, 5:00 p.m. to 12:00 a.m.; Nov. 28, 12:00 p.m. to 12:00 a.m.; Nov. 30, 12:00 p.m. to 10:00 p.m.
· Crown Center, Kansas City, MO – Dec. 05 – Dec. 06, 10:00 a.m. to 9:00 p.m.; Dec. 07, 12:00 p.m. to 6:00 p.m.
· North East Mall, Dallas, TX – Dec. 12 – Dec. 14, 10:00 a.m. to 9:00 p.m.
· Hollywood & Highland, Los Angeles, CA – Dec. 19 – Dec. 21, 10:00 a.m. to 8:00 p.m.
To learn more about Northpole or how you can bring the magic home, visit Northpole1820.com.